Will you be one of the ten talented creators to be given the opportunity to turn their design ideas into reality and have them produced by manufacturers in the region? Summer eXpression 2017 is for those who are curious and creative, want to broaden their portfolio and learn more about design, production, packaging and pricing. From idea to finished product in a small production run! Summer eXpression 2017 at the arts campus runs from June to August, with a break in July and early August. 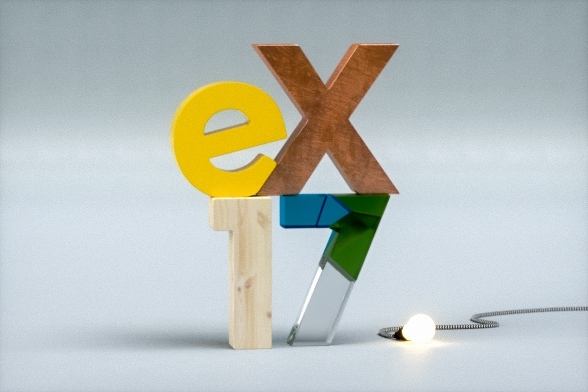 Over the first four weeks (7–30 June), participants visit producers and work on sketches and prototypes. At this time, they will have access to supervision and Sliperiet’s equipment and laboratory. Production takes place over the final two weeks (14–25 August), ending with an exhibition featuring the products that have been developed. Summer eXpression 2017 is primarily intended for students studying aesthetic programmes. Other creators in the region who are interested in artistic development can also apply. There is space for ten participants who are appointed by a jury. The materials you can work with include wood, stone, glass, metal, leather and textiles. Other materials may also be appropriate. Regional partners such as Löbe Granit, Glödheta, Humlebäck and Näslunds snickeri will be acting as producers and functioning as sounding boards with their knowledge of materials and manufacturing processes. The supervisors are Margot Barolo, who runs Barolo AB and is a teacher of design and product design at Beckmans College of Design, and Johan Gustafsson from Struktur industridesign AB, who is also a teacher at Umeå Institute of Design. They will be on site during parts of the programme in order to guide participants through the design process up to the production stage. The goal is to manufacture ten copies of each product that is developed. The objects will be exhibited and sold at the end of the project. There will be a competition in conjunction with the exhibition, with three products being awarded prizes by a jury made up of familiar faces. The compensation for participants is SEK 10,000. This can be paid out as a fee or via an invoice. If you want to start a company, we can help you with that process. There will be contracts concerning compensation and copyright. Register your interest by emailing your name and contact details to summer@uminovaexpression.se by 30 March. We will then send you the application documents on which you complete an assignment and describe yourself, your background and your interest in design in a brief personal letter. The application has to be submitted by 18 April. Participants will be chosen and informed 1–5 May. 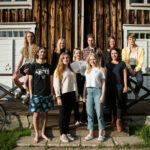 Summer eXpression 2017 is being organised by Uminova eXpression in order to reveal, develop and link up young creators and talented producers in the Umeå region. We want to celebrate well-designed useful articles and work to ensure that a larger range of these items are produced locally.